This wasp is hunting the caterpillars that are eating this plant. Which of these is NOT a consumer? Yes! The plant is a producer, not a consumer. Producers make their own food. No. The caterpillar is a consumer because it eats the plant. No. The caterpillar is a consumer. No. Consumers eat other organisms. 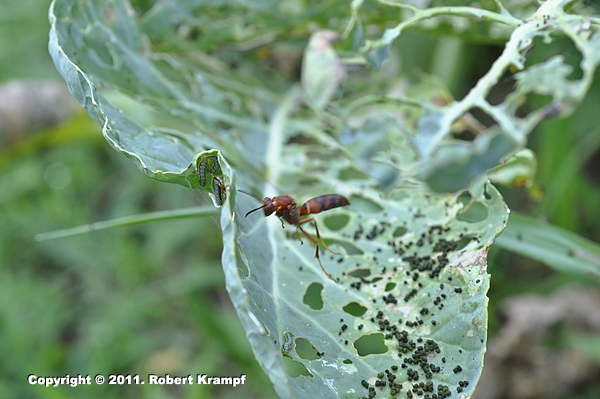 Both the caterpillar and the wasp consume other living things, making them both consumers.